Outgoing postcard US-3911531 to Slovakia shows the EMD E-9A diesel-electric locomotive No. 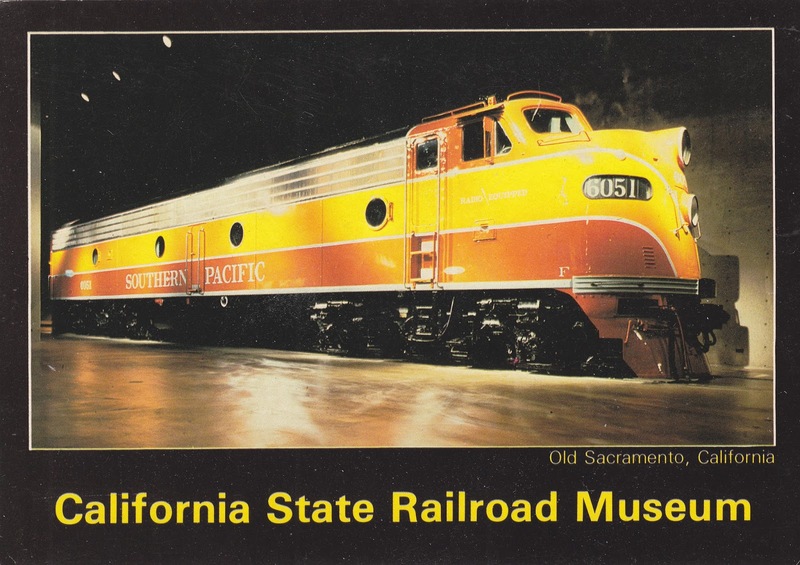 6051 at the California State Railroad Museum. This large, streamlined locomotive was built by the Electro-Motive Division of General Motors in 1954. It had served the Southern Pacific Railroad for 15 years before it was donated to the Pacific Coast Chapter of the Railway and Locomotive Historical Society for the California State Railroad Museum in Old Sacramento, California in 1969.